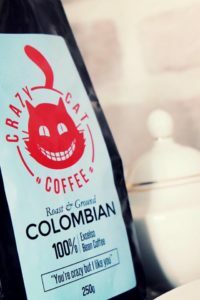 It all started way back in 2016 when we found an amazing coffee roaster in Chesterfield who could supply us with top quality coffee and as everyone (except my dad) shops on Amazon where best to create our own brand and supply the nation with delicious coffee? So... we started with an amazing single bean Colombian Exceslo coffee. John (our coffee roaster) has over 3 decades of experience and has guided us to the best coffee we have ever tasted. Grown in the warm volcanic soil of Colombia our coffee is processed, milled and exported to the UK where it is roasted and ground to perfection. Our first bean is from the Tarrazu region & known to produce the best coffee in Costa Rica. Arabica Catuai & Caturra bean is grown between 1200 & 1700m & produces a delightful aroma, crisp acidity, with a note of marzipan and dark fruit. Medellin in Colombia is the source of our 2nd variety, an Arabica Excelso bean grown in rich volcanic soil to produce fruity tones with a nutty, sugar browning flavour. Rich bodied with a well-balanced acidity. 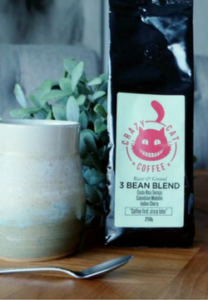 Our 3rd bean is an Indian Cherry Robusta added to give our blend an amazing crema without producing bitterness or encroaching on the flavour of the coffee it is blended with. 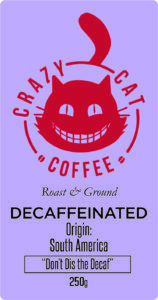 Lately, we have added a decaffeinated coffee, yes we get it to the purist this is sacrilege but people are sensitive! Our Decaf has gained Rainforest Alliance Accreditation.Brazilian, Colombian and Peruvian coffee beans are ethically sourced, hand roasted in the Calder Valley Yorkshire in a dark Italian style. 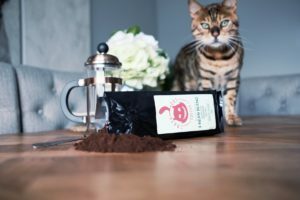 The South Americans are well known for their quality coffee producing and this blend really is a fine example of beans from that particular continent. Smooth and chocolatey flavour is complemented by a subtle, gentle alkalinity in the aftertaste. If like me you can only cope with 1-2 cups of Caffeine a day then our Decaf is perfect for you. PERFECTLY BALANCED - Just like you we wanted a perfect balance of flavour, aroma, strength & body. RICH & FULL FLAVOURED - our ground Coffee is creamy, delicious and perfect for waking up to any time of the year. SUITABLE FOR CAFETIERE & MOST COFFEE MACHINES - roasted and ground to perfection in the UK.